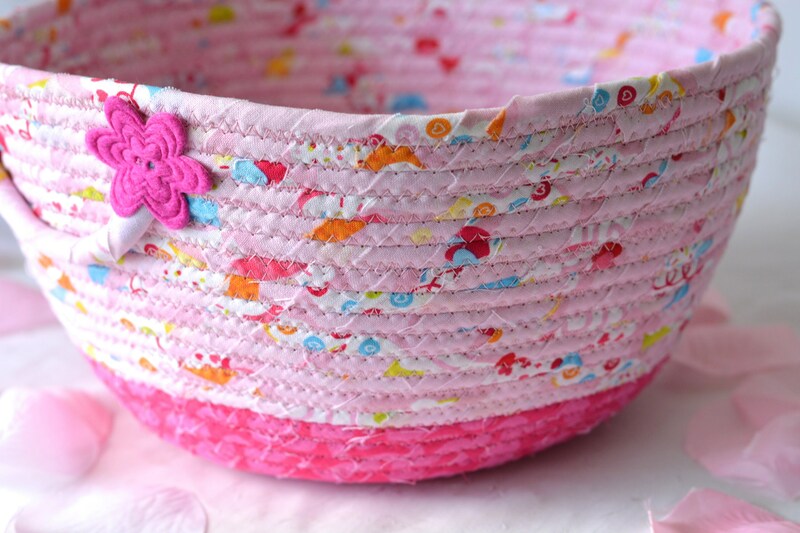 Lovely Pink Coiled Basket! .........FREE Shipping to USA! ....Handmade in USA! 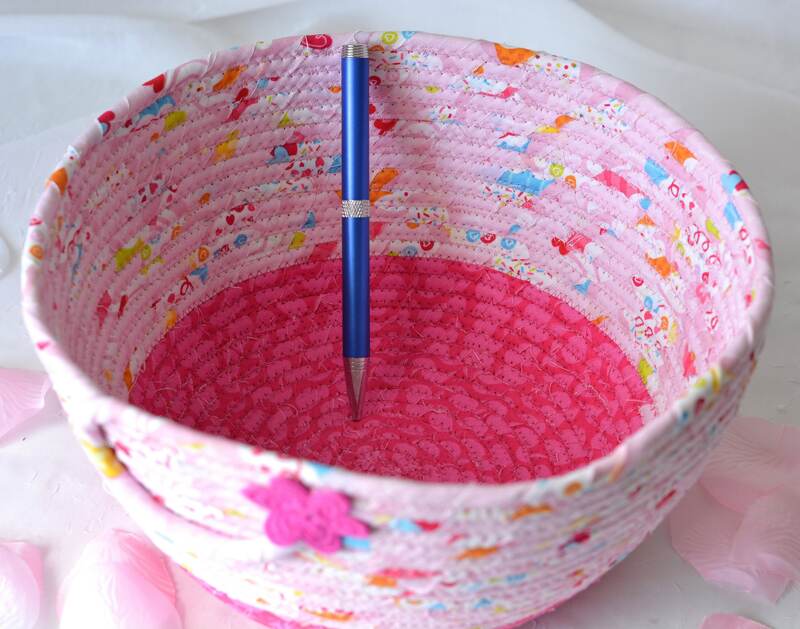 I hand wrapped this cute pink fabric around cotton line, which I then hand coiled and machine quilted to make it sturdy. I used the raw edge technique with a little fray for a great shabby chic texture. I added a pretty cotton candy pink base fabric for a lovely contrast. 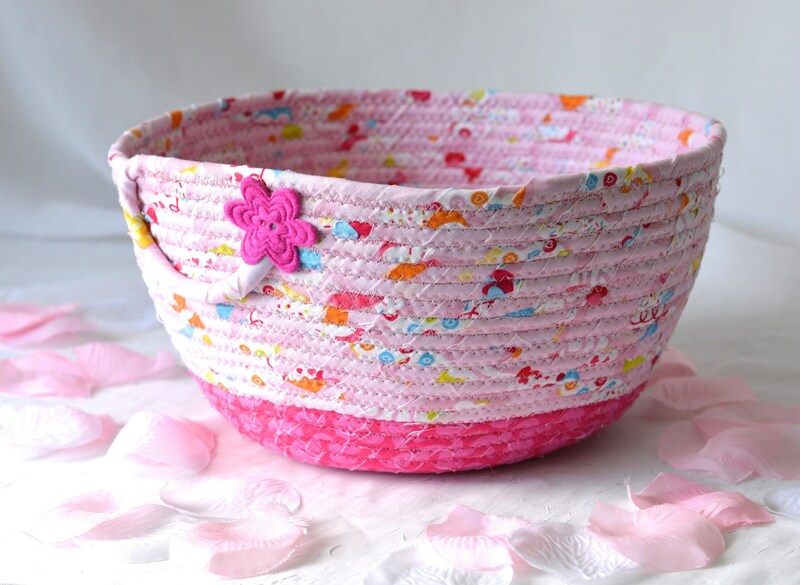 The cute flower on the basket is included for a nice accent. 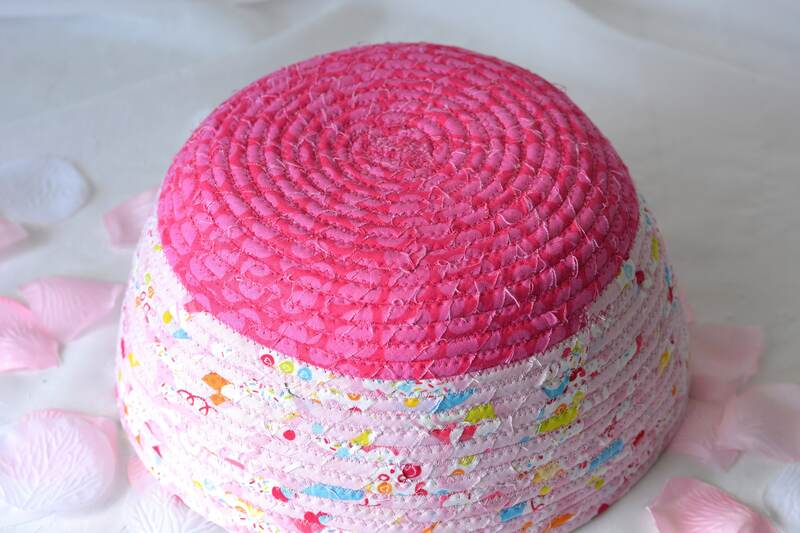 Both lovely pink fabrics are 100% cotton and show on the inside of the basket too! Cute Girl Hair Tie Holder! Brush Holder! Girl's room storage organizer! 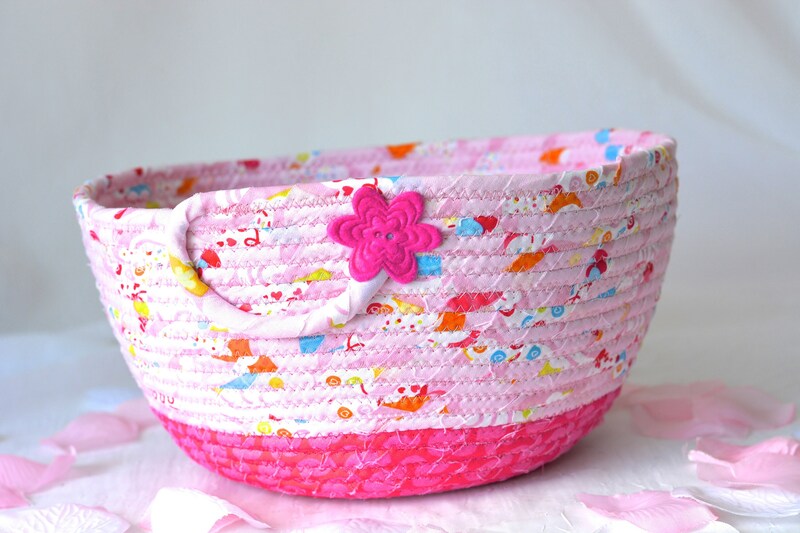 Doll Basket!